Most agents have embraced the fact that digital ads for real estate matters. But digital advertising can seem like a black box. What kind of ads work best? We’ve outlined three kinds of digital ads for real estate, who they are for, and how you use them. Wait, why would you advertise to people you already know? 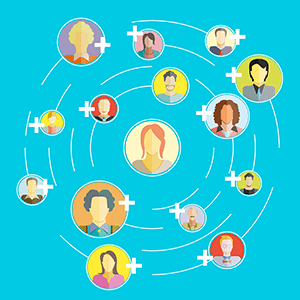 According to data from NAR, over 60% of your business comes from people you have a relationship with — your sphere of influence. You worked together. You’re in the same book club. You already helped them buy or sell. Maybe you’re even related. These are the people who will refer you and give you their real estate business. But only if (and this is a big “if”) you nurture those relationships. “A person in your network doesn’t know she’s in your network if you don’t maintain the connection,” says Jeff Lobb of SparkTank Media. That means if you aren’t nurturing those relationships, you can’t really say those people are part of your sphere anymore. Among the many nurture tactics you might be using, digital ads are simple — no big newsletter to write. They are subtle — they don’t interrupt meetings, they don’t fill up inboxes and they don’t require a reply. And they are targetable — you can segment your database and create custom messages for each group. So what’s the difference between people you know and people who know you? Well, people who know you are people who have had a specific experience: they visited your web site. Statistics show that 98% of web visitors leave without doing anything you want them to do. They don’t call, click, or download. They don’t do anything but vanish. You need to bring them back. If you’ve ever browsed on Amazon or Zappos and then had the items you looked at following you around the web, you’ve been retargeted. And with digital ads for real estate, you can do that, too! Retargeting is super-powerful way to remind people that they had an interest in you and what you offer. In fact, studies show retargeted ads led to a 1046% increase in branded search (when someone searches for you in Google) and a 726% lift in site visits after four weeks of ad exposure! So, how does it work? Retargeting is a cookie-based technology that drops a small pixel of code to anonymously follow your audience wherever they travel on the web. 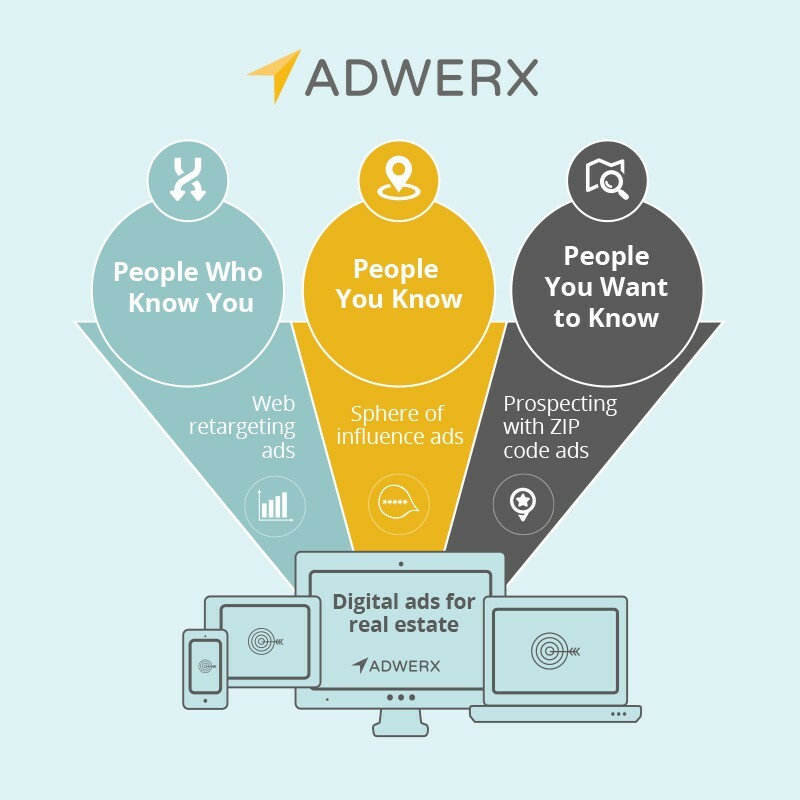 For more on this, check out our post, “How does retargeting for real estate marketing work? The people you want to know are your prospects — they live in the area you are farming or they fit the target demographic you have of your ideal clients. But you don’t know them personally. And they don’t know you at all. Yet. “I am trying to get people to recognize my face with my new company logo and name,” said agent Melia Campbell, Broker/Owner of NextHome Campbell Realty. And branded ads by ZIP code are key to her strategy.